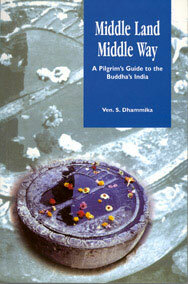 A guide book for the Buddhist pilgrimage in India. Maps, color photographs, and suggestions of how to get to the various sites related to the life of the Buddha make this an essential travel companion for the pilgrim as well as the general traveler in India. You might also be interested in the travel book "Along the Path". A unique guidebook covering India's and Nepal's sacred sites; indispensable for the modern-day practitioner of the Buddha's teachings. I took this book on pilgrimage to India, on the recommendation of Ven. Dhammadinna in Seattle, and it was of inestimable help. It helped me better understand where I was and the significance of what happened there, and also helped me find places (like the Bamboo Grove), I originally hadn't planned to visit. Absolutely bring it, if you're on Buddhist pilgrimage in India!